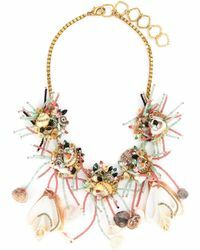 high-end jewelry brand Erickson Beamon has been known for its dramatic, highly embellished designs since its launch in the early '80s. 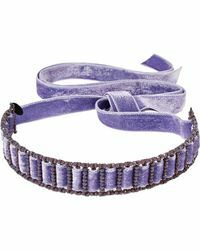 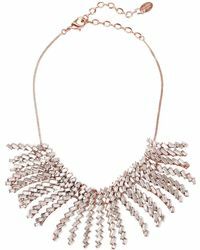 A popular choice with the fashion and film elite, this luxury brand knows how to produce striking statement collections. 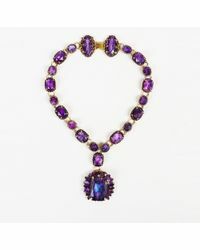 Designers Karen & Eric Erickson have been credited with the invention of chandelier earrings and continue to enthrall their worldwide fan base with their handmade creations. 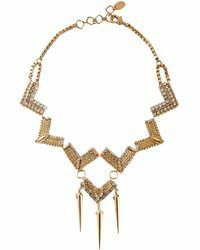 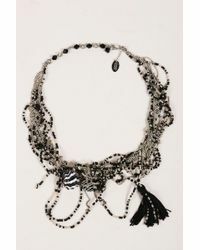 Decadent, oversized and colorful, Erickson Beamon necklaces feature intricate details and flowing tassels. 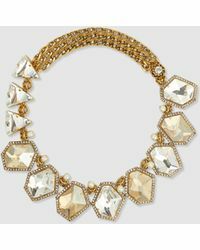 Make these pieces stand out by pairing with a plain dress or top.